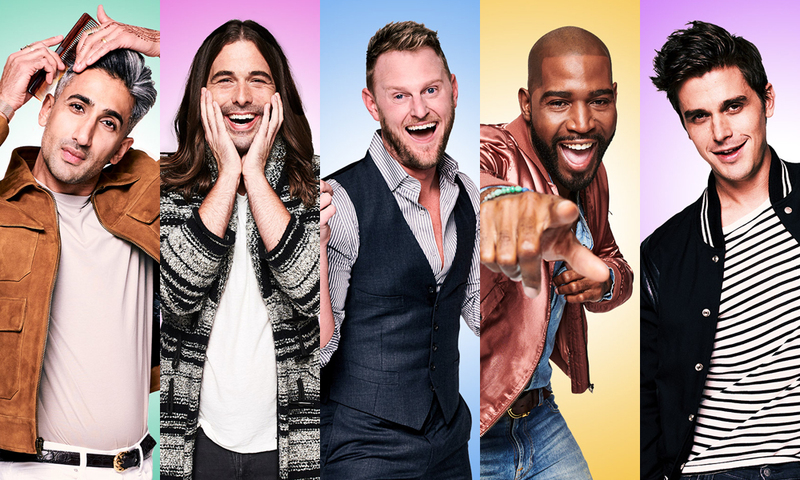 Replacing the original “Fab Five”—Ted Allen, Kyan Douglas, Thom Filicia, Carson Kressley and Jai Rodriguez—are newbies Antoni Porowski (food and wine a cionado), Bobby Berk (interior design guide), Karamo Brown (culture czar), Jonathan Van Ness (grooming guru) and Tan France (fashion maven). Tan France is the successful entrepreneur behind several international clothing ventures, including the bestselling brand Kingdom and State. France, who was born in England, had never planned to appear on television; he always dreamed of a career in fashion. Growing up, he’d spend summers working in his grandfather’s denim factory and at one point found the idea of becoming a machinist rather glamorous. But he says his goals didn’t exactly t within accepted cultural norms. So, he secretly enrolled in fashion college and attended classes for some time before he got up the nerve to tell his parents. France now makes his home in Utah with his husband. Bobby Berk has become one of the leading names in modern interior design. He also has strong ties to the original Queer Eye. “I still remember watching the very rst episode thinking, ‘There are gay people on television!’” His wildly successful career owes a great deal to self-drive and determination. Fearing his sexuality would not be accepted in the small town where he grew up, he won emancipation from his parents before completing high school, moving first to Denver, then to New York, where he began to pursue his passion for design. 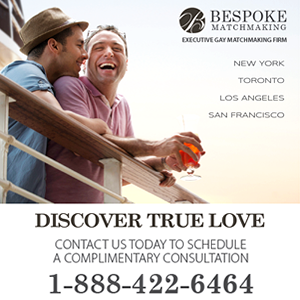 Berk has since reunited with his family and maintains strong ties with them. Karma Brown is no stranger to reality television—he broke barriers as the first openly gay black man on the 15th season of MTV’s long-running The Real World. But he also has a long history of working in the non-profit sector, including as the founder of HIV awareness organization 6in10. It’s through the latter lens that Brown approached Queer Eye’s culture vertical—his chief aim was to foster understanding and respect for other cultures and to help people better understand the complexities of the modern world. A single father to two sons, ages 20 and 17, Brown was also excited to serve as a positive role model as a parent and a gay man of colour. Antoni Porowski has had a lifelong passion for food and a history of catering private events in and around New York—he even served as the personal chef for original Queer Eye star Ted Allen, who would become his mentor. But he had never planned to make a career out of his culinary pursuits. Originally from Montreal, Antoni was bitten by the culinary bug at a young age, spending countless hours in the kitchen watching his mother joyously cooking and bringing a world of culinary delights to life. He discovered the worlds of Julia Child and soon after began to teach himself how to cook. Antoni became the personal chef to some of New York’s and Brooklyn’s prominent citizens. He’s also appeared in NBC’s Blacklist. NELSON BRANCO is the digital editor and producer for the Toronto Sun. As a contributing editor, he’s penned pieces for magazines like Hello Canada, People and TV Guide, and online sites like Huffington Post. He’s also worked as a TV producer for Breakfast TV and The Marilyn Denis Show. You can follo1w9 him at @nelliebranco.